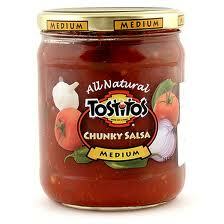 Kroger shoppers, today, June 28, hurry on over here to download your FREE coupon good for Tostitos Style Dip or Salsa! This freebie is only available for download today, but you have until July 13 to redeem it. Limit of one coupon per item. Digital coupons and paper coupons may not be combined on the purchase of a single item.